This tool allows assigning keyboard key to different settings of a chart such as timeframe, bar type (candlesticks or bars) and scale. Thus you will be able to quickly switch between save settings. If you have ever played StarCraft your know how squads are saved in it. For example, Ctrl+1 is the first squad, Ctrl+2 is the second one; you can quickly switch between them and send them into battle. 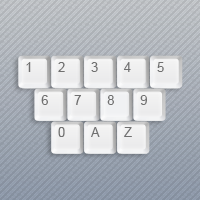 The settings can be assign to numeric keys from 0 to 9. Hold Ctrl and press one of the keys you want to be assigned (from 0 to 9). 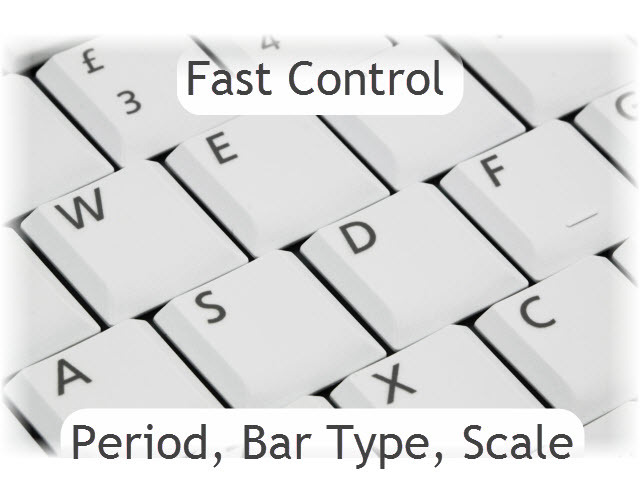 It will save the current settings of the chart: timeframe, bar type and scale. Adjust these settings before assigning a key. In addition the A and Z keys switch the chart timeframe to a smaller or a bigger one respectively.